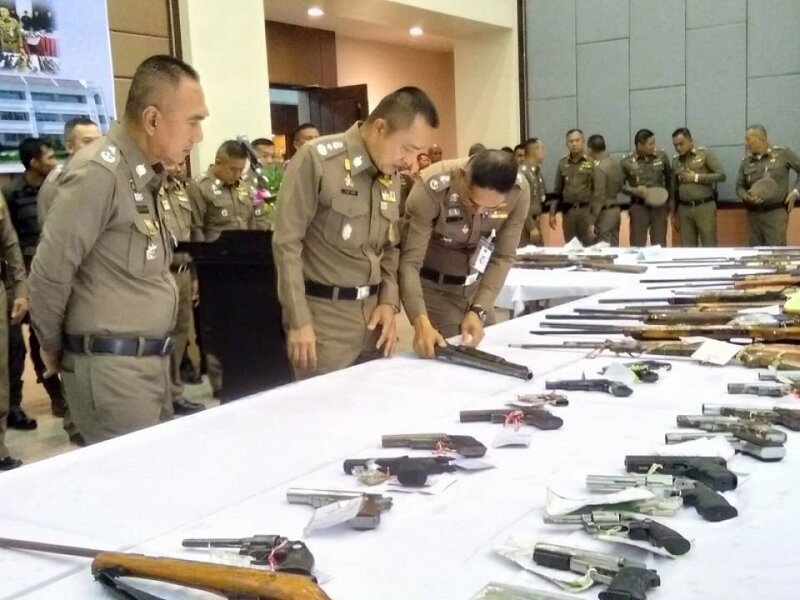 The Thai police tackling crime? Now there's a novelty. Just imagine what could be done if this happened every month of the year. "...Over 1,000 suspects nabbed in crime sweep..."
Er... Ahem... Isn't this called 'policing'? And, if it is not normal 'Policing', shouldn't it be? So now the police can go back to doing nothing as this exercise was only conducted "to boost public confidence ahead of the elections". Surely, to maintain public confidence they should be doing this on a daily basis! It's their job for goodness sake! Can we have an election every month? Err, maybe not as every single prison cell would be overflowing, like the black hole of Calcutta. Ha ha! We know why there's a ban - otherwise there would be plenty of boos in Prayut's direction. I wanna be a dark influential person! Do I need to see the local Kru Khmer? I guess they won't be voting tomorrow. What am I going to do this weekend now? Too bad that can't put that sort of zeal in their enforcement efforts aimed at capturing arsonists who are burning down Northern Thailand and poisoning the air. Who verifies the claims?! They could say anything.... and often do! That's a rather long month, from Feb 2nd to Mar 20th ("month-long crime sweep"). The overall figures don't look all that impressive when taking into consideration how long they were busy sweeping.